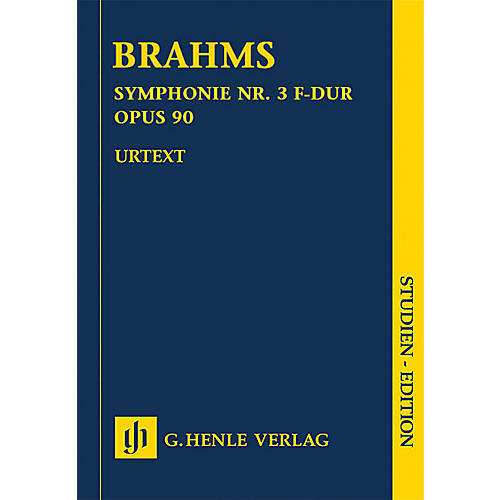 On the premiere of the 3rd Symphony in the Musikvereinssaal in Vienna in 1883, the Wagnerites, who disliked Brahms, hissed after every movement. Yet Brahms' biographer Max Kalbeck said, The audience was so intimately touched by this wonderful work that not only did the opposition fall quiet, but the ovations for the composer reached a level of enthusiasm hardly ever before attained in Vienna and Brahms thus celebrated one of his greatest triumphs. We now present the score of this work, which recently appeared as part of our new Complete Edition, in a handy study edition.